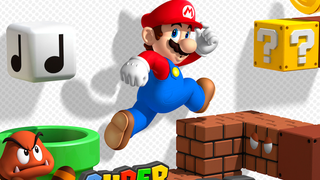 Mario's coming to a handheld in an all-new game. That's always cause for celebration and Nintendo's going to be mounting some rather athletic festivities this coming weekend. To commemorate the release of Super Mario 3D Land on Sunday, Nintendo will be setting up an obstacle course in New York City's Times Square on the Saturday before the game's debut, complete with trampolines, warp pipes and a flagpole marker. Along with all the frolicking, attendees will be able to take pictures with Mario and, most importantly, buy Super Mario 3D Land for the 3DS early. No word if they'll be handing out Tanooki tails.